“I felt at that stage that the Family Court system was a little bit gender biased and that I just kept banging my head against a brick wall. Mark says one of the key factors that changed his attitude was meeting Birthright social worker and course facilitator Megan Morton. After his initial reluctance, Mark ended up finding the Parenting through Separation course so helpful that he chose to do it twice, and even encouraged his mother to do it too as she had so much to do with her granddaughter’s handovers with Mark’s child’s mother. Later, when it became compulsory through the Family Court system, Mark’s child’s mother also attended the course. “There were times prior to PTS and before I gained more knowledge that I thought I was acting in my daughter’s best interest, but I was only acting in mine,” Mark admits. It was Megan who encouraged Mark to become a qualified social worker. “Every now and then you have one of those people who just stands out and you think, ‘wow – you are a real people person, you’ve got the ability.’ Mark was able to bring out the best in people, you could see people relaxed with him. Mark thought very long and hard about whether he could manage a three-year bachelor degree on top of single parenting and work commitments. Megan says she kept in touch with Mark during the years he was studying and managing co-parenting. 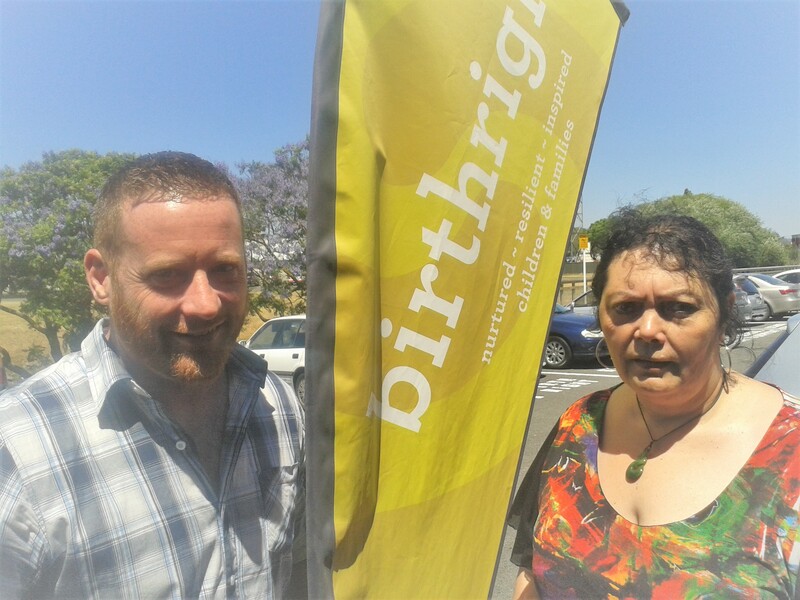 The pilot parenting programme – for men, run by men – has now become a 7-week course based at Birthright in Napier. Megan says it’s an absolute pleasure to see him out there working with families – and to watch how families warm to him really quickly. “I think one of the key parts of being a social worker is to recognise the potential in people and help them believe in themselves because that was the only thing stopping Mark from achieving what he’s achieved now – someone to reinforce that he already had all that it takes and more."